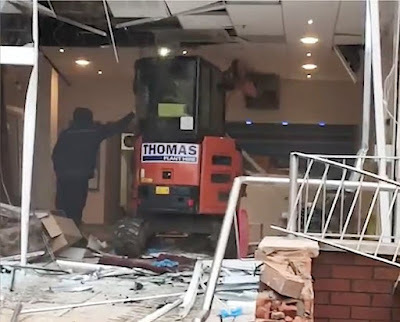 Supporters of a builder who complained he had not been paid his £600 wages before driving a 2.5-ton digger into a Travelodge have raised £5,000 on a GoFundMe. 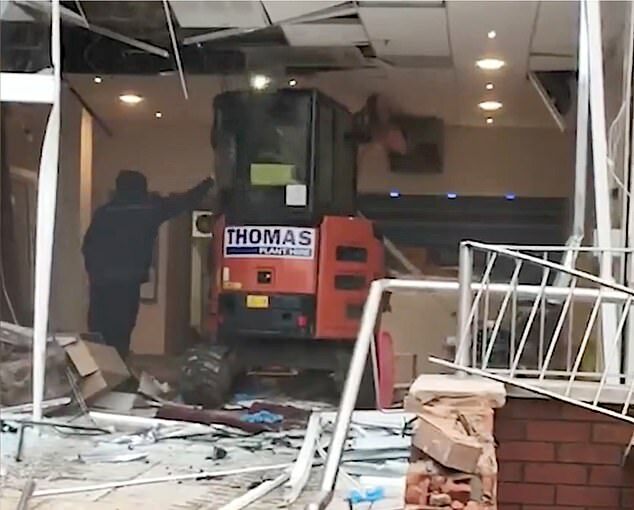 The driver, known has John, drove into the reception area of the hotel at Liverpool Innovation Park on Edge Lane shortly before 3pm Monday. He claimed his wages had not been deposited into his account on Friday, however co-workers alleged there had been a glitch and the money did not arrive until Monday morning. 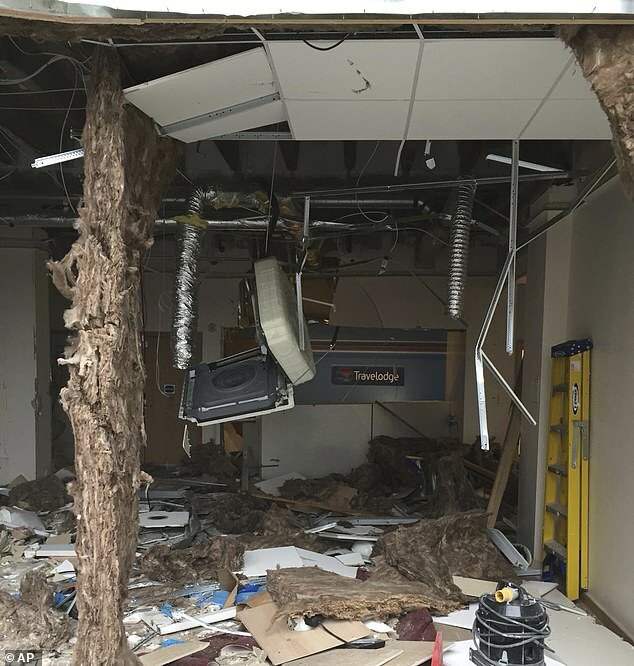 One worker at the site told The Sun: ‘The money was supposed to go into his bank on Friday. ‘But there was some kind of glitch and it didn’t go in until Monday. Merseyside Police said they had located the man and will interview him as part of their investigation. 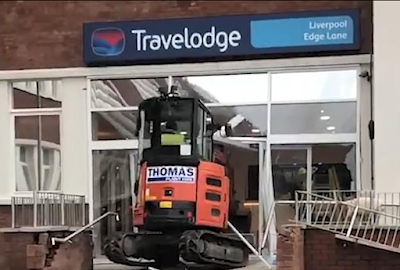 ‘The driver left the vehicle and made off on foot in the direction of Edge Lane.